Bang-Geul Han was born and raised in Seoul, Korea. Han earned an MFA from the NY State College of Ceramics, Alfred University in Alfred, NY and BFA from the Seoul National University in Korea. Based in the US since 2003, she participated in the Skowhegan School of Painting and Sculpture,the MacDowell Colony and the 2010 Triangle Artist's Workshop. She is currently an artist in residence for the LMCC Workspace program. 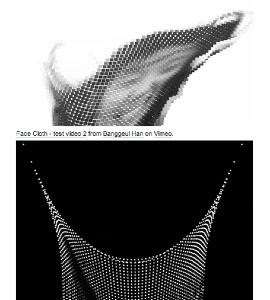 Bang-Geul is Assistant Professor for the Digital Arts and Sciences Program at Clarkson University. She lives and works between Potsdam and New York, NY.